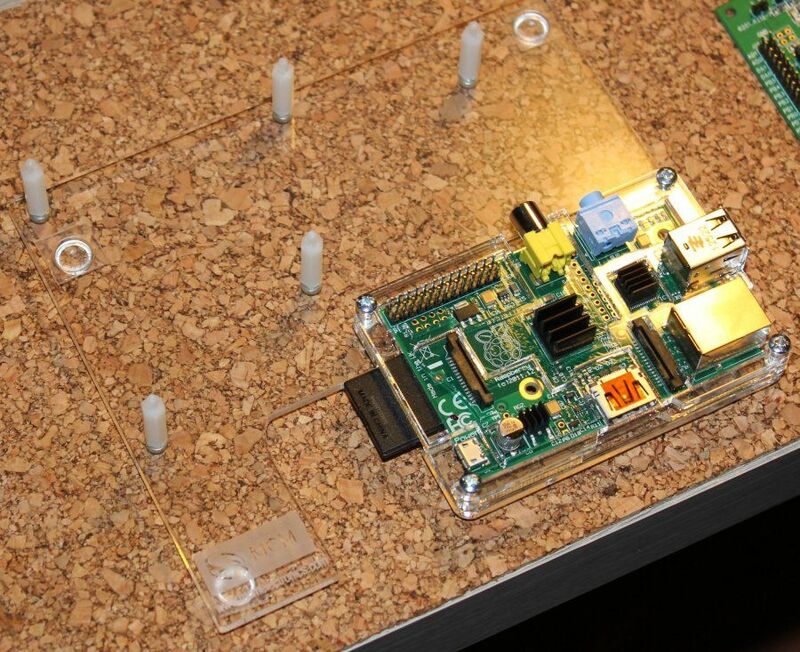 There is a lot of cases for Raspberry Pi. Only some of them are friendly for expansion boards. 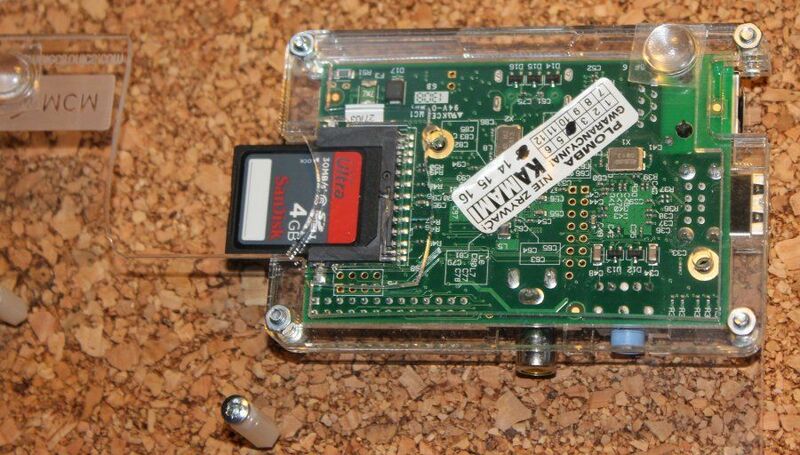 The biggest expansion board is probably Gertboard and if you search ebay you will find a PCSL open case fo Raspberry and Gertboard. I got one of those and I'm quite impressed with the design. We get the plexi parts and some screws needed for the assembly. Stand feets come with Gertboard (the new v2 version of the board). 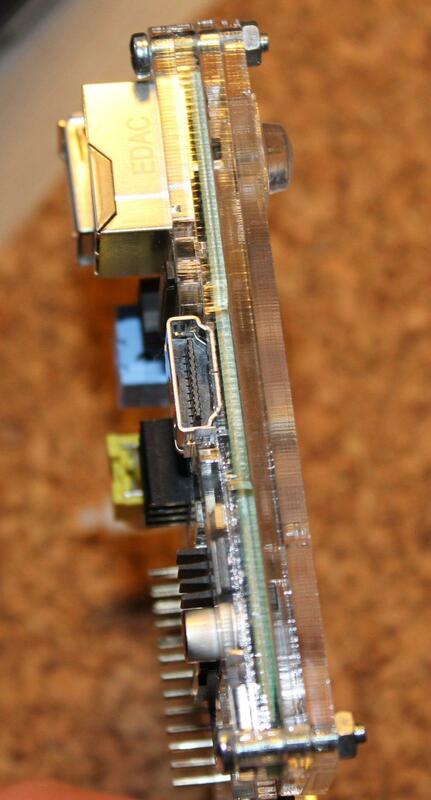 The best thing in this case is the Raspberry locking done by holding it on the whole circumference of the board. Some similar open boards designed to put a breadboard aside of Raspberry tend to catch it via some stands, which is harder to mount and keep everything in place. This case can be used with Gertboard but you can also stick a breadboard or other parts when the Gertboard stands are not screwed in.